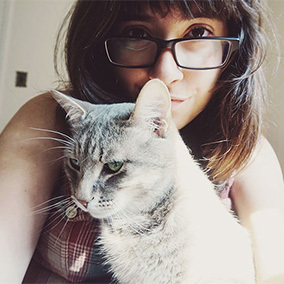 When I first moved in, I was so annoyed with litter tracking in my small studio flat, I switched Avery over from using a regular side-entry litter box to a top entry box. Technically, this means I don’t need a cat litter mat, but in practicality, I often find myself wondering whether a side-entry box plus a quality cat mat would have been a better option for reducing tracking with my particular fella. See, with a regular cat, I would never have to wonder about this. But Avery’s an oddball of a cat: approximately every third bathroom use, he will quite literally jump over the top part of his Modkat Litter Box, a stunt that leaves World’s Best Cat Litter all over the floor, and annoys me to no avail – since it ultimately defeats the main purpose of grabbing a top entry litter box to begin with… Leave it to a cat to find a way to beat the system, huh? 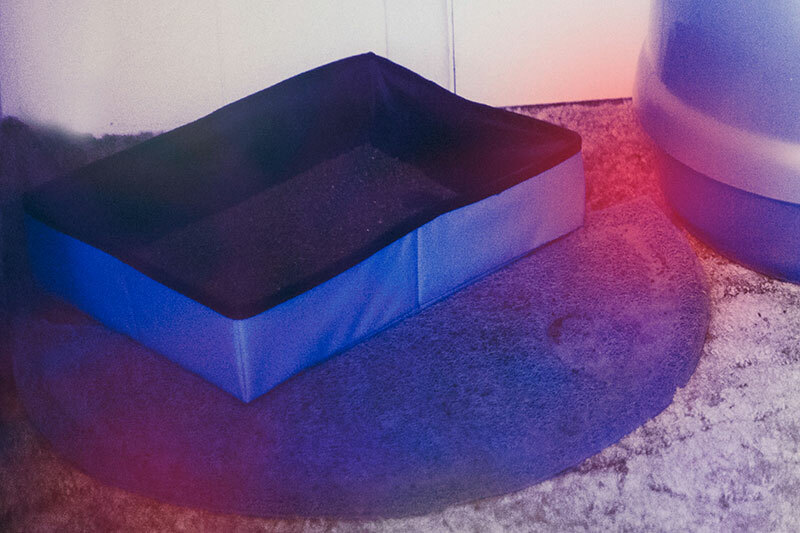 I’ve had my fair share of side-entry litter boxes paired up with litter mats in the past. I’ve even improvised cat mats a couple times, using carpet samples as a temporary solution while staying someplace temporarily. It’s not that some litter mats don’t work, it’s just that some seem to work a lot better than others. 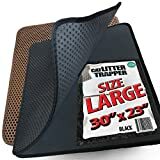 My curiosity got the best of me, leading me to want to write this article and ask you guys about your thoughts about litter mats, when I saw this particular trapper mat on Amazon. I don’t recall pet stores having anything like that around four years ago, when I looked for cat mats for Avery at PetSmart when we first took him in. 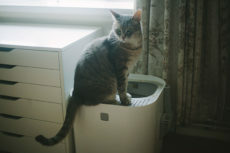 Maybe they were available when I moved to the UK, but I never really looked since I was so enamored with the idea of grabbing the Modkat litter box (I’ll be frank, primarily because it perfectly matches all my furniture – yes I am strange, but aesthetics matter a lot to me – especially living in such a small flat). I used my old litter mat, a Petmate Half Circle Litter Catcher Mat, for many years particularly because it was incredibly small, matched my old litter box, and did the job well enough for the space it took up. 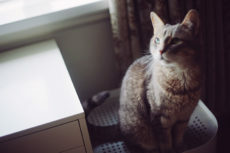 I used to have Avery’s litter box in the bathroom when I first took him in, then moved it to a corner of the single bedroom when we stayed at my grandmother’s. 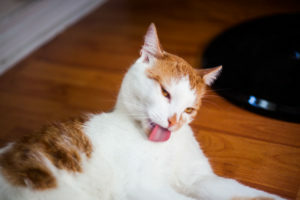 I didn’t want a litter mat that was too big considering space limitations, but if I had no issues with that, say because I had a mudroom to put his litter box in, I’d certainly have ended up with a different litter mat. 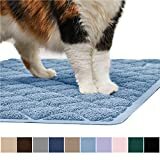 Either way, done a little bit of digging, and here are what I found to be likely some of the best cat litter mats available. Obviously, what works best depends on your particular situation: whether you’ve got a small or big space, whether you’re vacuuming or not, things like that. But I’ve written in the descriptions of each item which use I think those litter mats would be optimal for. If you don’t mind taking the time to leave a comment below, let me know which litter mats you’ve used before, and whether they were good at reducing tracking or not, or if you liked them for one particular reason over another. 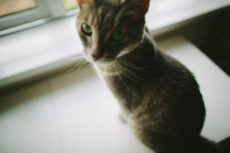 Any information you give would definitely be helpful, especially if when I move to a house, I do go the side-entry litter box + litter mat route again for my crazy kitty. 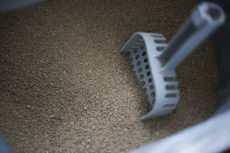 Now, I had to list this one first, not just because it’s what inspired this post, but because I actually think it may be the best cat litter mat on the market. I don’t know how new the product is, but it’s already got a very large number of reviews, and those reviews are overwhelmingly positive. 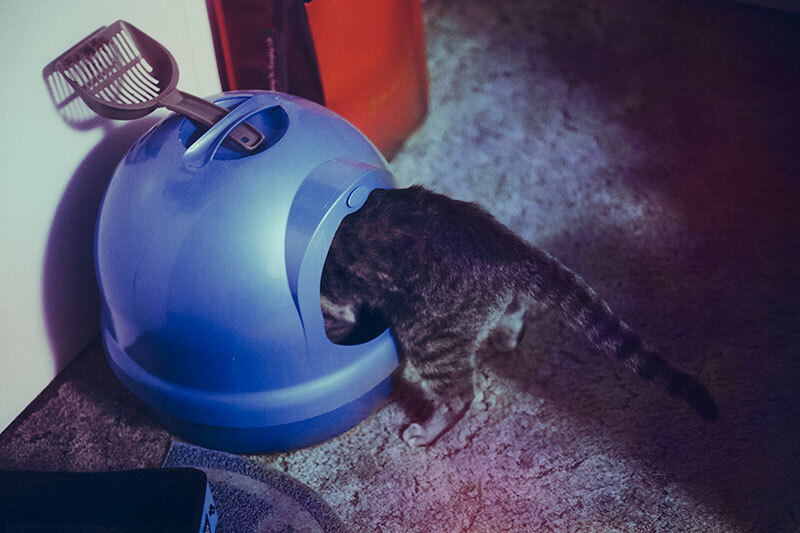 It’s pretty large, has bigger holes in it for trapping stray litter than I’ve ever seen, and it basically allows you to open it up to get to the middle section where the cat litter is trapped, making it easy for you to pour the cat litter back into the litter box. Looks so useful, especially for those who aren’t big on vacuuming or don’t have a vacuum. Ease of use is ridiculous, and it does appear to trap more than your average cat litter mat. As a bonus: if you have a cat that sometimes pees on the mat for one reason or another, you can place pee pads like these (ones usually meant for training dogs) to absorb any accidents. 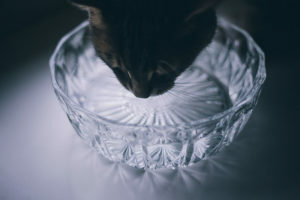 I don’t know how many would find this feature useful, especially since I find cats with UTIs don’t usually pee on mats, but pee on tile floors or in bathtubs, but it’s nice to be able to have this feature anyway. Let me know if you think of a way these pee pads might come in handy in the comments. Probably the cutest litter mat on the market? 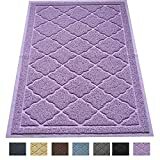 It’s incredibly highly recommended, comes in extra large, a few different colours, and just all in all seems to be one of the litter mats pet owners are most happy with. There’s apparently no “weird smell” from this one that you often get when you buy plastic products. 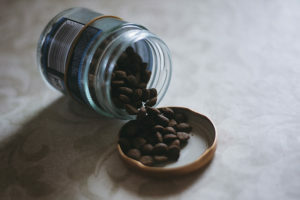 I don’t mind the smells as I usually just air the products out until the smell goes away, but in case that’s important to you, I thought I’d mention it here. I have to include it for those who, like me, just never really seem to find themselves with a lot of space for litter boxes on their hands. The critiques of this litter mat are obviously warranted: your cat gets a paw or maybe two on this litter mat before scampering off with the remainder of the litter tracking behind him or her. That being said, look at the thing. You know with a single glance at it that it’s small. In my opinion, it’s much better than having no mat at all, which is what we-who-have-little-space would otherwise have to do. Might sound weird to say this litter mat is better than nothing, but it is much better than having nothing, and I honestly think your bar has to be set a little lower for mats catching litter when you just don’t have the space for a full-sized one. Your run-of-the-mill cat litter mat that every cat owner and their cat owning mother has at their house. 😉 Available in a variety of different colours and sizes as well. There’s a reason these types of litter mats are popular, and that’s pretty much because they work. Sure, there may be slightly better options available nowadays, but the tried and true is great and exceptionally effective for most of us. I feel like most cat litter mats aren’t the easiest to use if you don’t have at least a handheld vacuum cleaner in the house. This litter mat is one exception to the usual rule: you can wipe or even sweep this litter mat clean very easily. Do I think it will do the trick as well as the other litter mats? Probably not. But if you just don’t have a vacuum cleaner around, it should come in pretty handy. 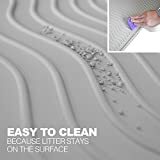 As a heads up, if you would really love to have a more track-reducing litter mat than this one, but have had bad luck with hand held vacuum cleaners in the past (I know we have – battery life and oomph over time can be a joke! ), Thomas and I have been using a Black and Decker Lithium Dustbuster Piviot for about a year and it’s held up very well. We leave it plugged in to charge 24/7 and it still working as well as the day we bought it. 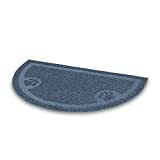 Similar to the iPrimio Large Cat Litter Trapper Mat in spot #1, this litter mat catches litter within it. 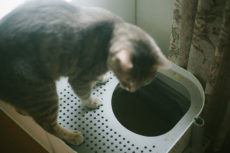 Though, unlike the iPrimio, this litter mat does not open up completely (you press on the two sides and tilt to pour excess litter out), and cannot house a pee pad. This litter box mat looks to be a favourite amongst pet owners whose cats really go haywire with the litter. 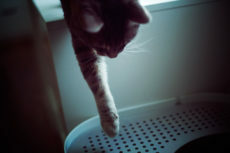 If your cat leaves not just trail away litter and not just a wee bit of tracking, but basically heaps of litter outside his or her box at times – this might be the best solution available to you. Not quite sure I’ve ever seen mounds of litter tracked outside the box like in this review of the product before. Avery’s a pretty vicious digger, though, so if I had to use a litter tray instead of a top or side entry litter box (say, because that’s the only thing he liked using), I could definitely see something like that happening to me. Makes me grateful there are litter mats like this one on the market. Another one that will work quite well for those without vacuum cleaners, though this one’s definitely going to need to be lifted and shaken into the litter tray or wiped clean with a cloth rather than swept up. It should be a lot better at catching litter than the last option I mentioned (#5), however, and if you have a cat who ever has issues with runny poos, it seems this litter mat is your best bet, as it’s much easier to clean than some of the other, more litter track reducing options. 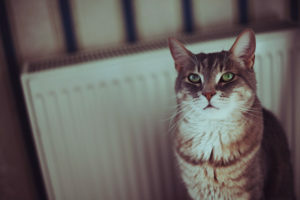 Have tile, wood, or laminate flooring where your litter box happens to be and get annoyed with the fact that your mat sometimes moves around, either when kitty runs out like some kind of a superhero or when you’re trying to clean that mat from all the litter? The non-stick backing on this litter mat seems to have a thumbs up of approval from those who have tried it, so give this one a shot if litter mat movement gets on your nerves. Also comes in a bunch of different colours, in case the standard grey/black is not up your alley. If you’re looking for a small litter mat that’s great for sticky #2s and households without vacuum cleaners, you might think you have no options, but that isn’t true. 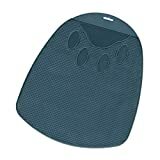 Petmate’s made yet another litter mat for small households (like the one I recommended and mentioned I personally used for years – the Petmate Half Circle Catcher Mat from #3), but this one specifically handy when it comes to ease of washing down with a cloth or in a sink. I haven’t seen many more options for tiny litter mats, so I do think your options are quite limited if you’re shopping around in this arena, but let me know if you’ve seen a small litter mat I’ve missed, and if it looks better to you than the two Petmate ones I’ve listed. 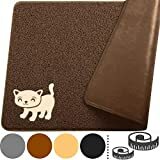 What Cat Litter Mats Would You Recommend? 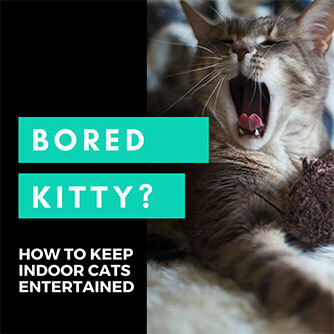 Have you tried a bunch of different cat litter mats? Or did you luck out and get the perfect one for you on your first try? 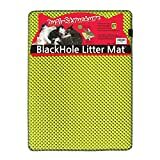 Are there any litter mats you’ve tried that you would recommend? Any you’d suggest staying away from? 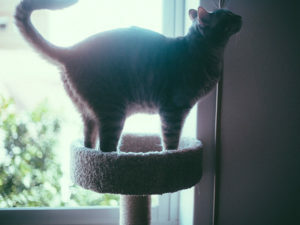 Does your cat or your living environment make the majority of cat mats out of the question and/or some more beneficial than others? For instance, do you have a small space to work with, a cat who heaves masses of litter outside the litter box, no vaccum cleaner at home, or a kitty with sometimes sticky #2s? How have you worked around these issues? As always, let me know in the comments down below! You need to stop giving these people free advertising (wink), just a friendly suggestion! This is a great list but my all time fave is SmartCatcher. Haha! Well I’m happy to give credit where credit is due, even if it is giving away free advertising. SmartCatcher! That’s one brand I missed! And wow does it come in a lot of neat patterns! We have the Primo mats and they are the best. However, goofy Simon likes to chew them apart, he doesn’t eat them he just destoys them. Oh well. How on earth? They look so durable – he must really go at them if he manages to chew them apart! Glad to have a vote of confidence in them. Would really like to give them a try one day.